I’ve seen these potatoes all over Pinterest and Foodgawker for months. They remind me of our old QB every time. Imagine my chagrin when I realized today that they are NOT named after him. Poor Matt. Apparently they are Swedish, popularized as the namesake dish of the restaurant at the Hasselbacken Hotel in Stockholm, Sweden. 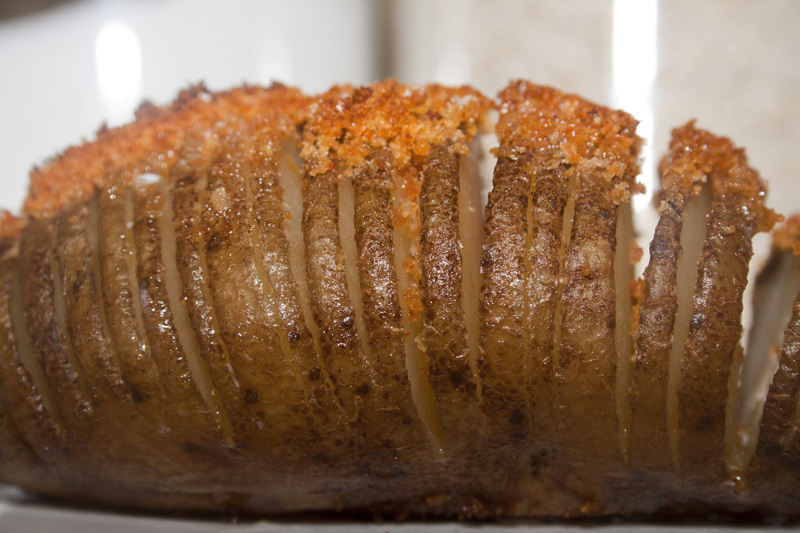 They are also known as potato fans and accordion potatoes. They are part french fry, part baked potato. Incredibly appealing to look at and equally delicious. 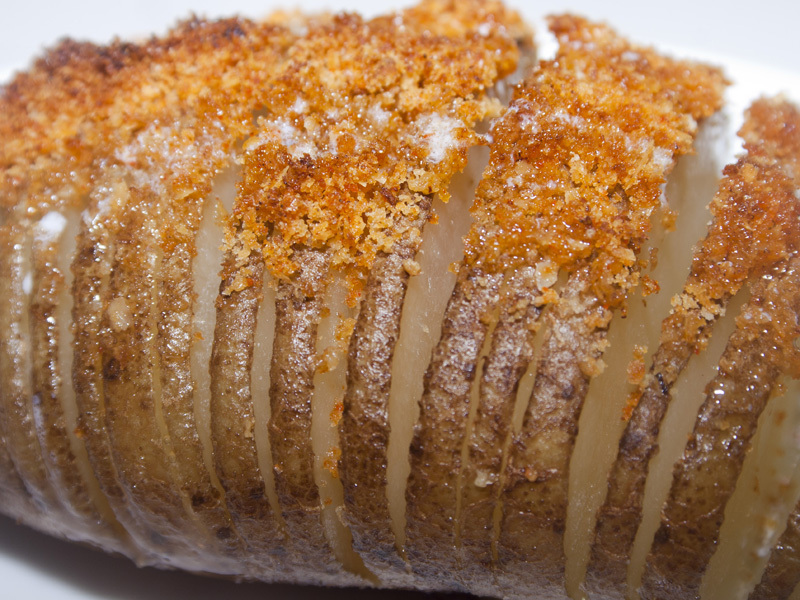 You start with basic baking potatoes and slice them crosswise, making 1/4-inch apart slices, cutting down vertically. Then, we’re going to make up a quick crumb topping with bread, cheese, butter and paprika. Dredge the potatoes in butter, making sure to get it all in between the slices. 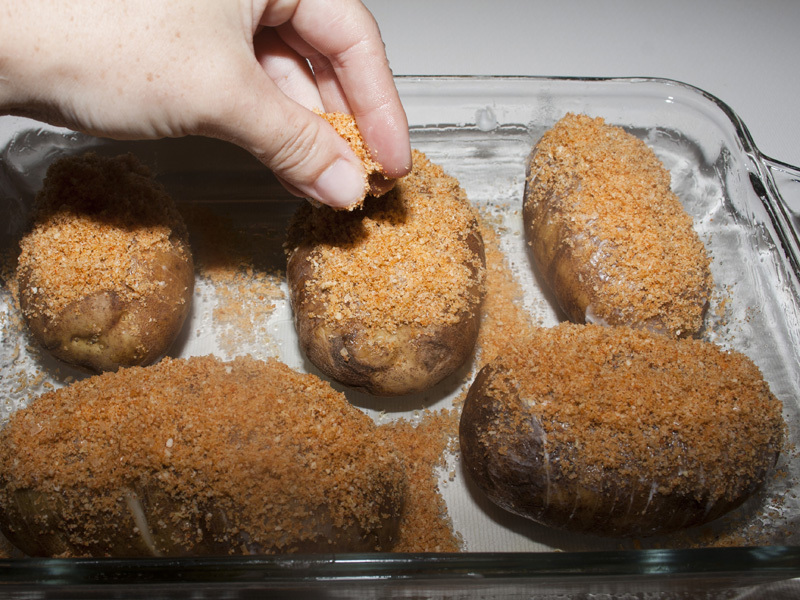 And sprinkle the tops with the breadcrumbs. Bake and be amazed. They fan out beautifully and get all crusty on the outside and soft in the middle. Gorgeous. These are sure to impress any company you have over! They’re almost like pull apart bread, but in potato form. Genius! 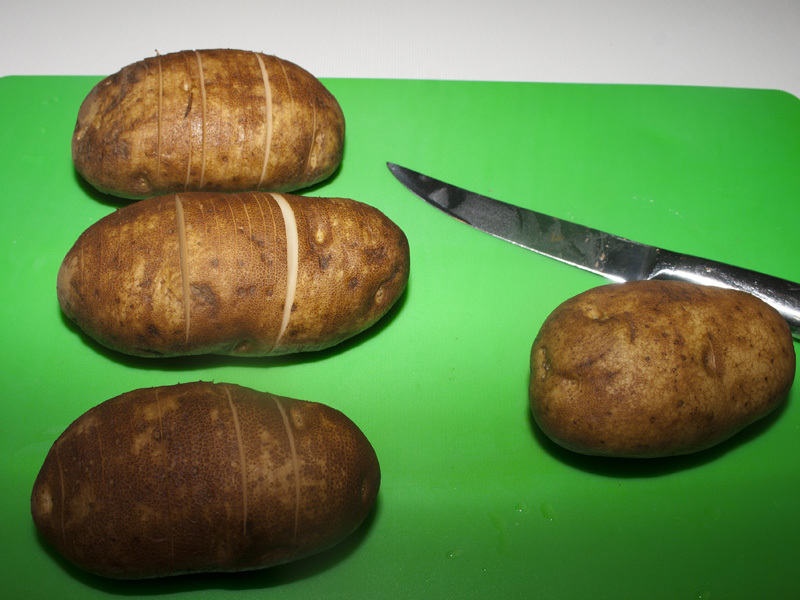 Slice each potato crosswise, making 1/4-inch apart slices, cutting down vertically. 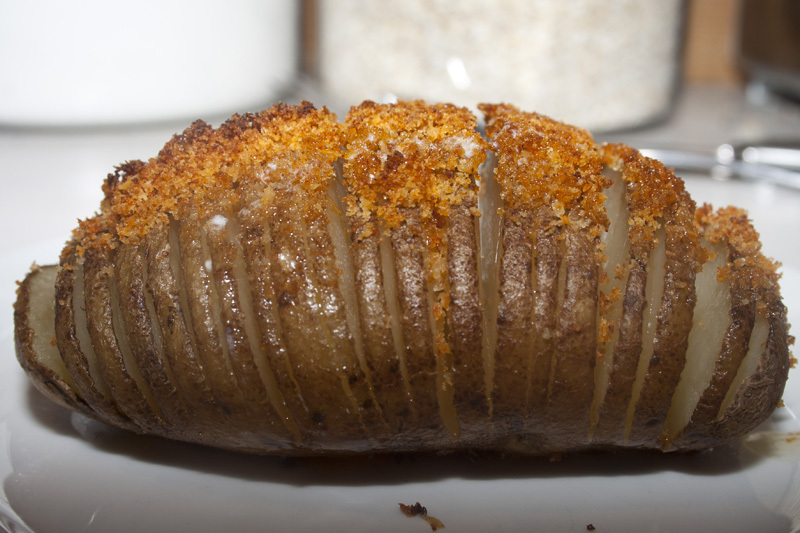 You need to leave 1/4-inch of the bottom of the potato intact. 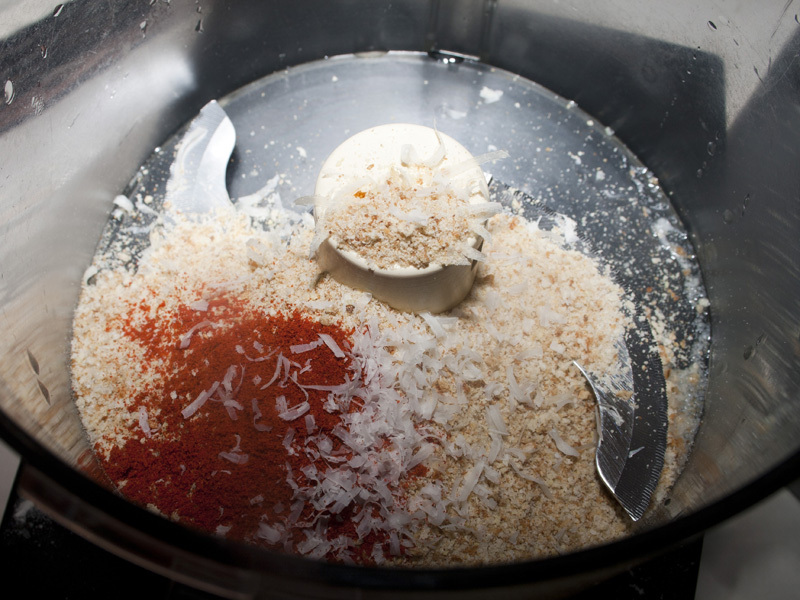 Place the Parmesan cheese, bread crumbs, 1 tablespoon melted butter, paprika, and salt in a food processor; process until blended. 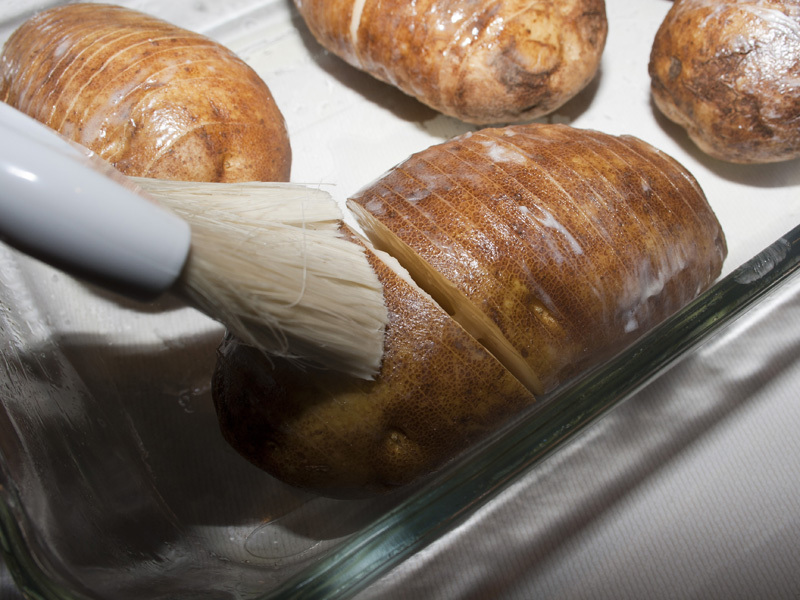 Brush prepared potatoes with 3 tablespoons melted butter (making sure some gets in the potato cracks), and pat the bread crumb mixture on top of each potato. 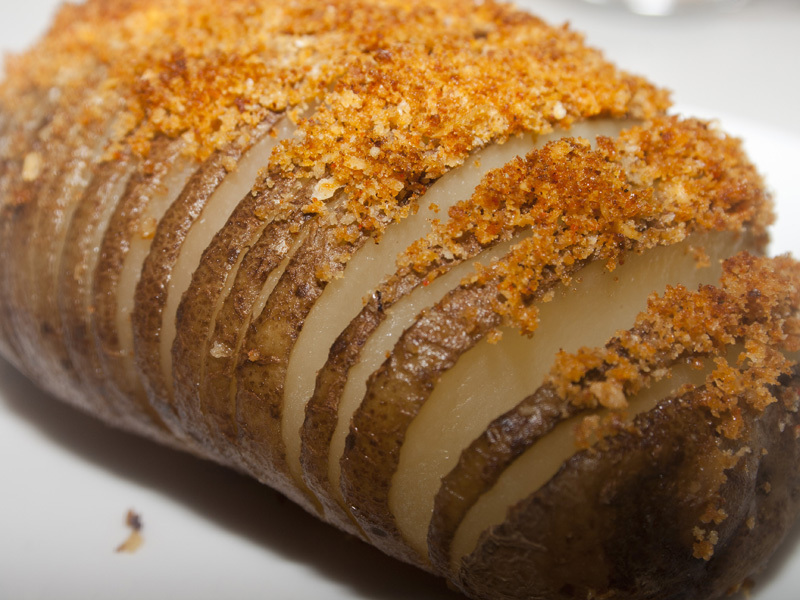 Place potatoes in the oiled baking dish; cover with aluminum foil and bake 45 minutes. Remove the aluminum foil and bake an additional 15 minutes until they turn crispy and the flesh is soft. Remove from the oven. To serve, drizzle with remaining 3 tablespoons melted butter.